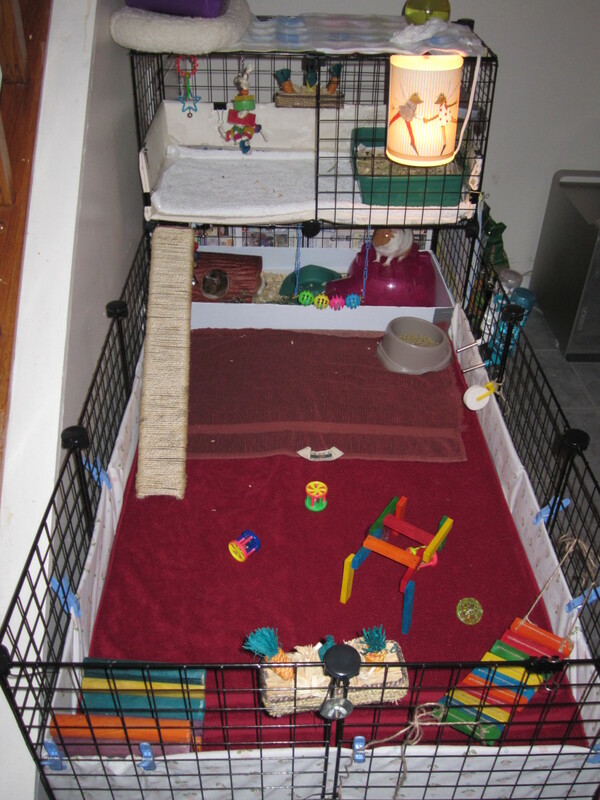 Julia is a guinea pig owner who likes to share her thrifty husbandry tips with other guinea pig fans. 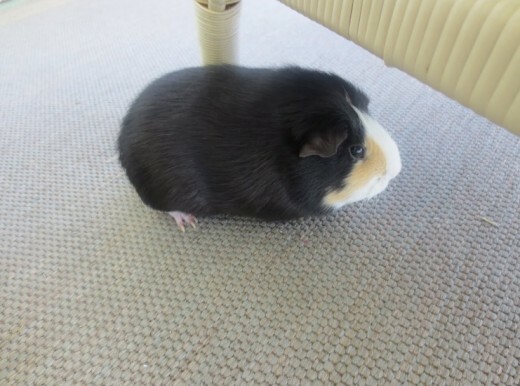 Anyone who's ever had a guinea pig knows that one of the most difficult things about them is how expensive they can get. Food, bedding, hay, chew toys, and vet trips are just a few of the costs of caring for a guinea pig. For such a small animal, they sure do cost a lot. Fortunately, as someone who's had guinea pigs for years and years, I've learned a few secrets to cutting down on the prices. Food is definitely one of the more expensive aspects of having a guinea pig especially when you get your food from a pet store. Ten dollars for a bag of pellets that won't even last a month? Twenty dollars for a bag of hay? These things can get pricey. What if I told you that pet stores aren't the only places to buy guinea pig food? If you go to a local feed store, they should sell huge bags of guinea pig food for 5-10 dollars. You should be able to find hay as well. Make sure that you keep these things in large containers so bugs and mice can't get in. These supplies are cheap and come in a much larger supply than pet store items. Guinea pigs are messy. They go through a lot of bedding, and the bedding at your local pet store probably isn't cheap. There multiple types of bedding you can use to reduce the price, however. 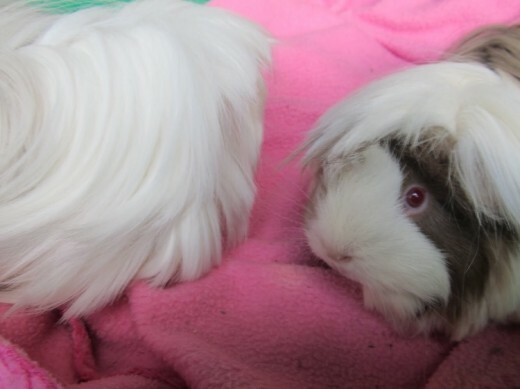 Fleece: Fleece blankets are a common alternative to standard bedding that people use for their guinea pigs. 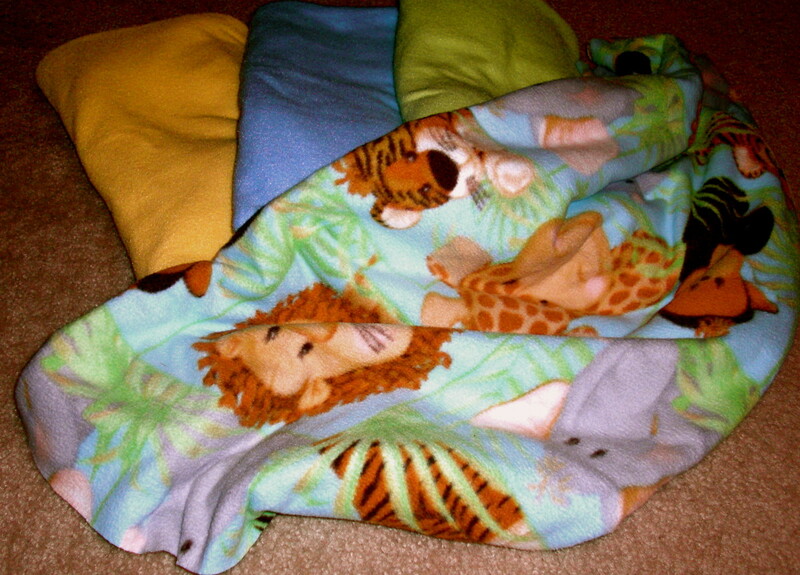 You don't have to buy the blankets very often, and you can shake it out and wash it in your laundry machine. The only downside is that you have to change out the fleece every few days to avoid odor. Wood Shavings and Pellets: These can also be bought at a feed store instead of a pet store. You can buy huge bags of them for 5-10 dollars. One thing is very important, do NOT buy pine, cedar, or sawdust. These can cause respiratory issues in your pig. It's best to go with aspen wood. In addition to shavings, you can also buy wood pellets, which are shavings compressed into pellets. These are about the same price as the shavings, and they're very absorbent. Shavings are softer, but pellets are still good. 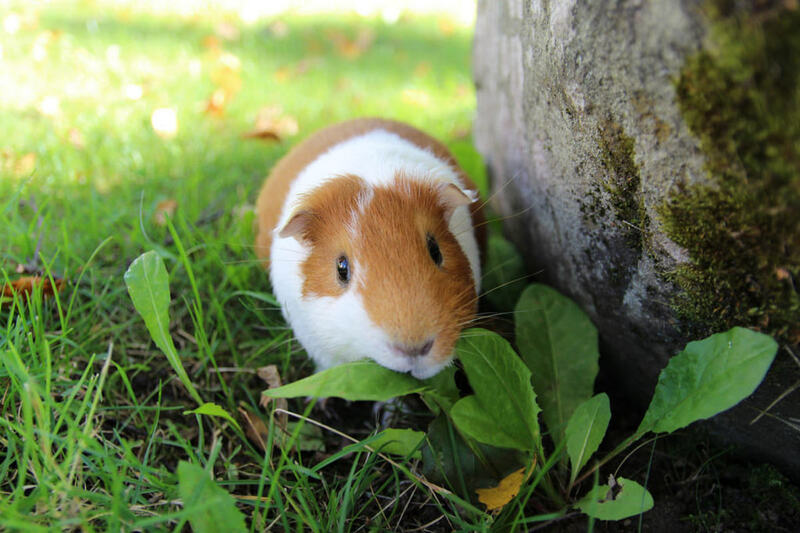 Dried fruits and vegetables can make great treats for guinea pigs. Although you can buy them from pet stores, you can get them from your grocery store. Buying them from a grocery store is less expensive and you can get more. Keep in mind that treats should always be fed in very small amounts, and some should be fed less than others. 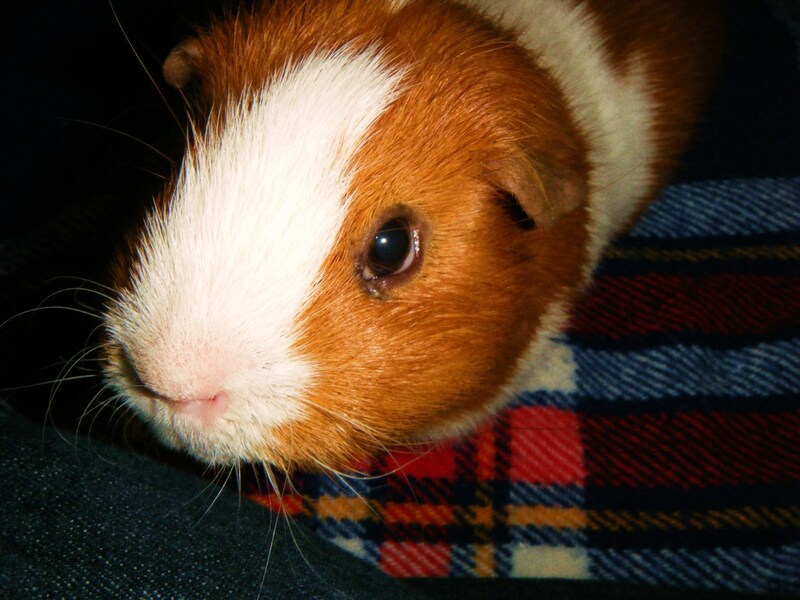 Unlike human teeth, guinea pigs' teeth are constantly growing, so they need to chew in order to file them down. That's why they chew on everything they can manage to chew. In order to help them out, it's important to have chews in their cage to help file down their teeth. Fortunately, there are plenty of things around your house that you can give them. Sticks from the trees in your backyard—please keep in mind, you cannot use pine. I usually use maple, apple, or citrus. Before you give them, boil them and let them dry. This is to get rid of harmful pesticides or bacteria. Why spend money on expensive cage cleaners when you can just make it yourself? Cleaning Spray: A simple cleaning solution for your piggy's cage is a 50/50 water to vinegar solution. Simply fill a spray bottle halfway up with water and then fill the other half with vinegar. It helps clean the cage and it keeps odors under control. The vinegar is also safe for guinea pigs and will not cause respiratory issues. You're going to need something to scoop out the dirty bedding and poop from the cage. You can use a dustpan and brush. This can be purchased from a dollar store. If you have a short-haired guinea pig, you will need to brush their hair about once a week. 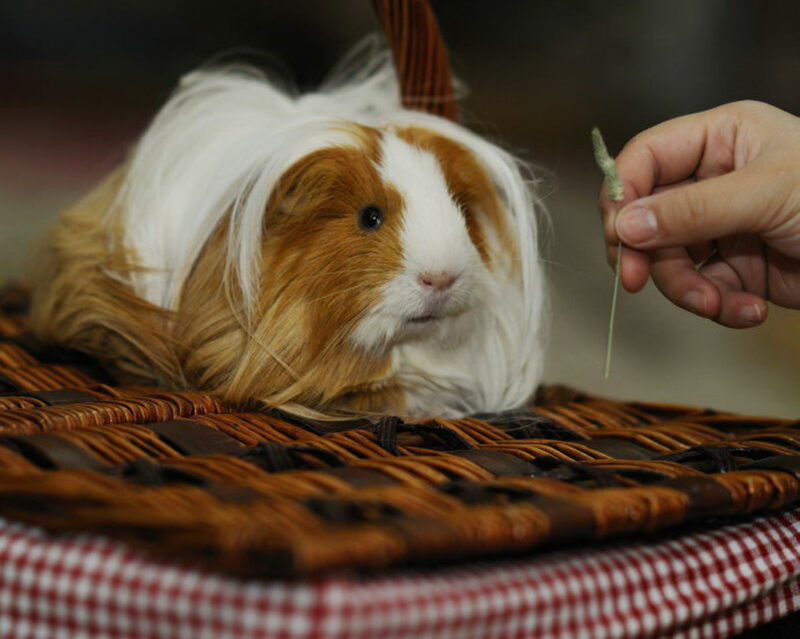 Long-haired guinea pigs require daily grooming. For grooming, you will need brushes and combs. It's also important to bathe your guinea pigs once every month, and you will need shampoo for this. 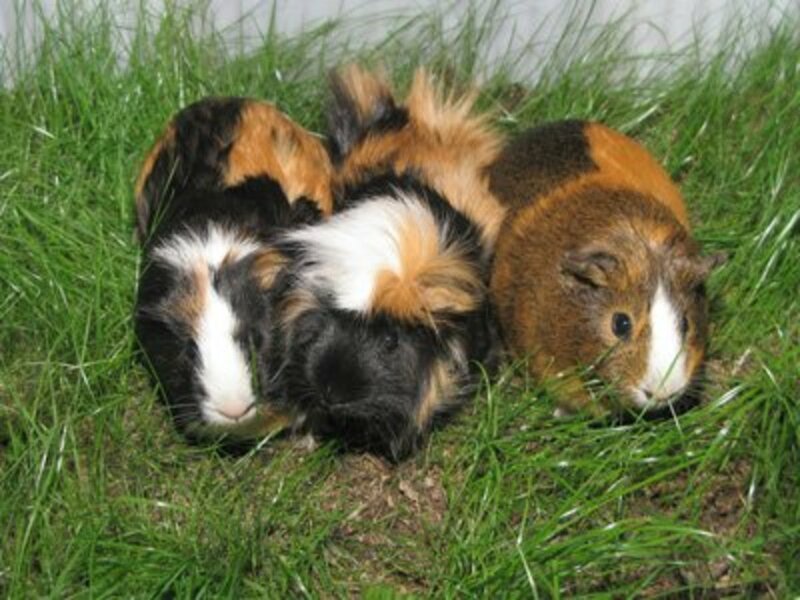 Brushes: Short-haired guinea pigs need soft bristle brushes. You can use baby brushes or nail brushes for this. Long-haired guinea pigs need a certain type of brush. These brushes are often used for rabbits as well. They help to break up the tangles in their long fur. Combs: Combs help to get out the tangles and keep their fur straight and neat. Combs can be bought cheaply at the dollar or grocery store. You don’t need a comb specifically for pets; any regular comb will do. Although guinea pigs clean themselves, it usually isn't enough as they are very messy animals. Although you can use shampoo made for guinea pigs or even rabbits and cats, baby shampoo is much cheaper and just as safe. 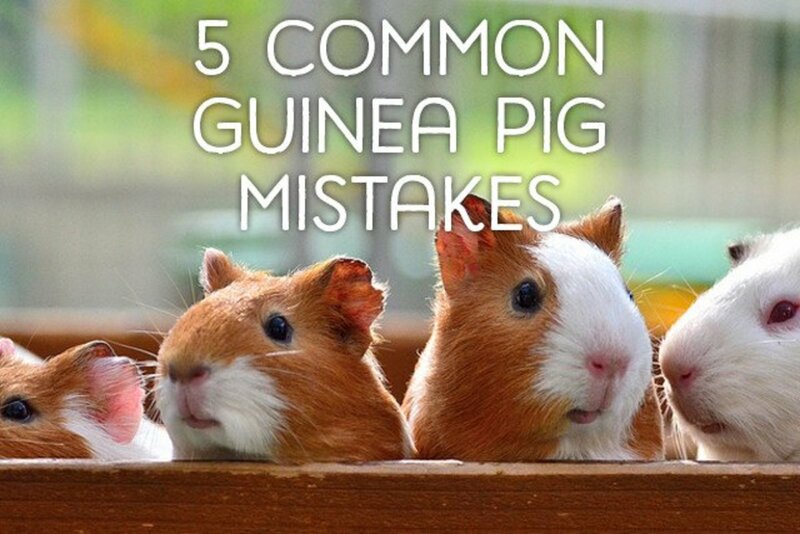 Guinea pigs will be a pricey pet no matter what, but the expense is totally worth it. However, before you get a guinea pig, please make sure you able to properly provide and care for it. How can you make guinea pig toys? Tree branches(citrus, maple, and Apple are good). Boil them and dry before you give them. Why Isn't My Guinea Pig Drinking Water? What Can Guinea Pigs Eat? The info was really useful, I'll be sure to use these methods!